Horses and carriages are not an uncommon sight. 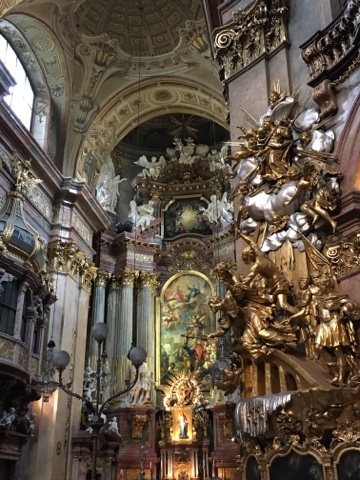 One of the best things about spending time in Central Europe is the vast number of opportunities to travel to other countries and experience a new culture with no need for air travel or much advanced planning. This weekend I was lucky enough to spend two nights in the incredible city of Vienna with some friends from University. 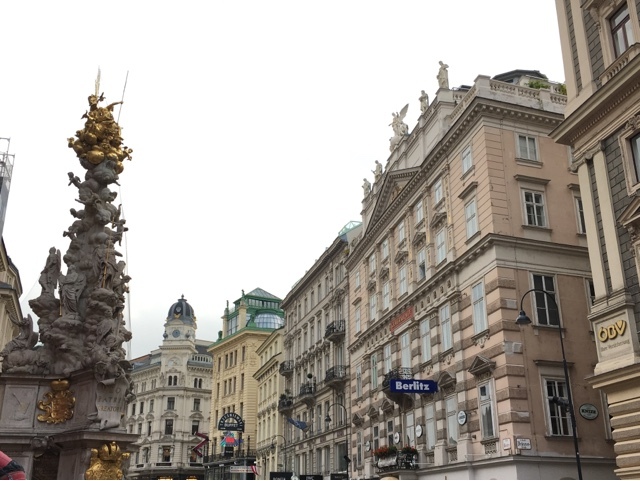 I had visited Vienna before when I was at school on exchange so I had a rough idea of how to navigate the city and had visited most of the main tourist attractions before. If someone asked me what my favourite city was, I would always answer Vienna and my trip this weekend really affirmed why. I doubt there is a more elegant city in the world. With such a rich and vibrant history, Vienna caters for all. Beautiful architecture, an incredible arts programme, castles and palaces with enough grandeur and beauty to satisfy the history lover and a Kaffee und Kuchen Culture so strong it would be a crime not to sample it. It doesn't matter what your interests are, Vienna has something unique to offer. 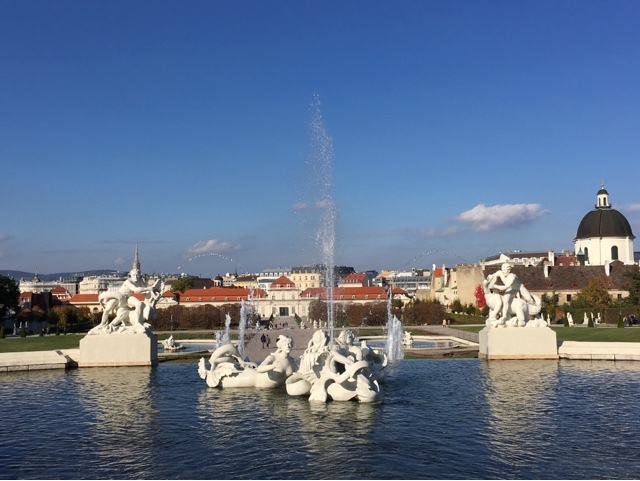 So whether you are considering planning your next trip to Vienna or just want a little nosy at some of the things I got up to, I thought I would give a little insight into how to spend a perfect 24 hours in Vienna. One of the most important tips I could give is to make sure you buy a travel card for the duration of your trip. 24, 48 and 72 hour cards are available and cover all public transport in Vienna. As I was there for the weekend I bought a 48 hour ticket costing €13,30 which I most definitely got my money's worth. Don't forget to validate it at the machine once you buy it like in most European cities however once that's done you are set to explore! Waking up in the morning in Vienna is magical enough, but if you head towards the Naschmarkt you'll add a little bit more magic to your day. A sprawling food market spanning outwards to encompass a variety of stalls the Naschmarkt is the perfect place to pick up some breakfast. With all cuisines represented and plenty of free samples of offer you might not even need to reach into your purse to satisfy your stomach. I would recommend going as early as possible to beat the crowds as trust me, it gets very busy towards lunchtime. My personal favourite were the falafel stands selling hot falafel with more hummus combinations that anyone could have thought possible. A few hops on the Ubahn will take you to arguably one of the most beautiful palaces I have ever seen; Belvedere Palace. With its magnificent white and clean exterior and immaculate gardens adorned with statues and fountains it makes the perfect place to have a stroll and burn off some of that falafel. You also get some excellent views over the city and we were also lucky enough to witness a beautiful wedding photoshoot, stuff of dreams eh. Now if you're anything like me, it'll be time for more food so hopping back on the Ubahn to Stephansplatz will take you right into the centre of the city. A minutes walk or so from Stephansplatz will take you to Aida, the perfect spot for some brunch. 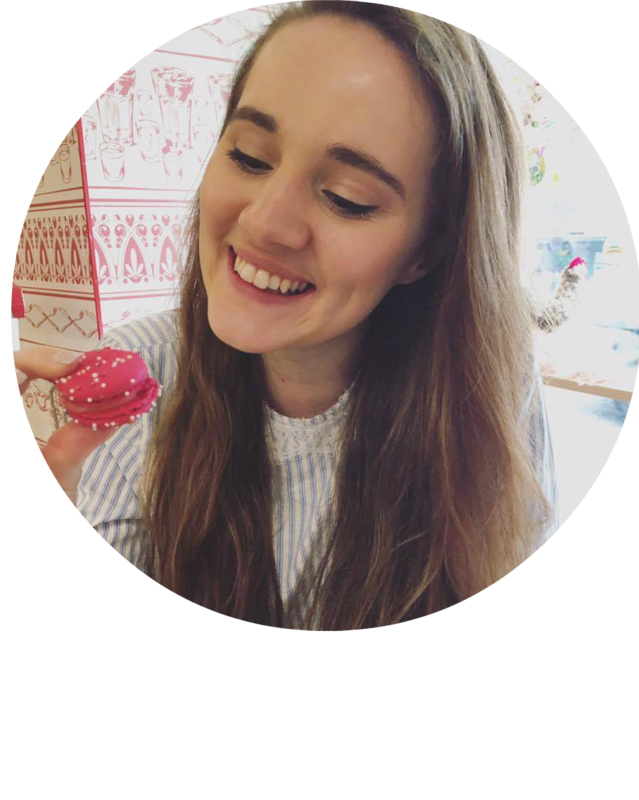 With its pink and pretty interiors and extensive pastry menu it's dreamy. If pastry isn't your thing and you want something more, there are also many hot food options from eggs to more substantial meals. 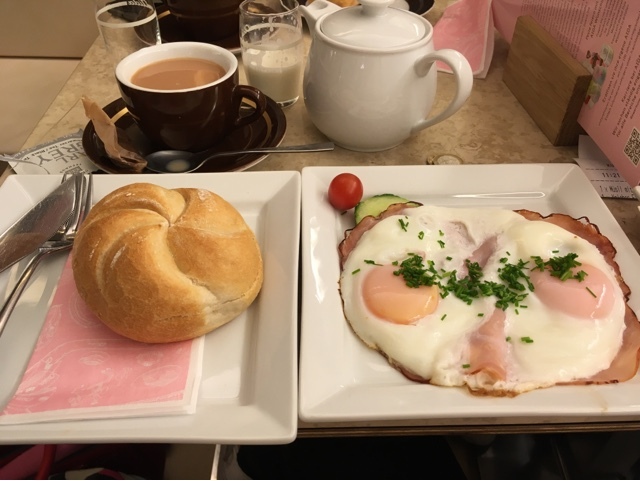 I went for eggs and ham and a Kaisersemmel (basically just a roll) and it was delicious! As a point of information, the toilets cost a euro but you do get it back when paying for your meal so make sure you go before you pay! 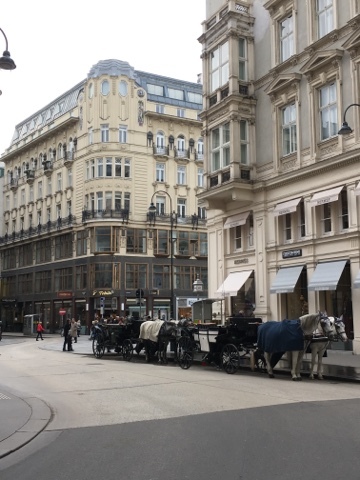 With so many beautiful shops the next part of your afternoon can easily be spent wandering around near Stephansdom, lusting after the beautiful window displays of Louis Vuitton, Tiffany's and the like. Or more attainably, Vienna has the most beautiful H&M in the world. The architecture is actually beautiful! 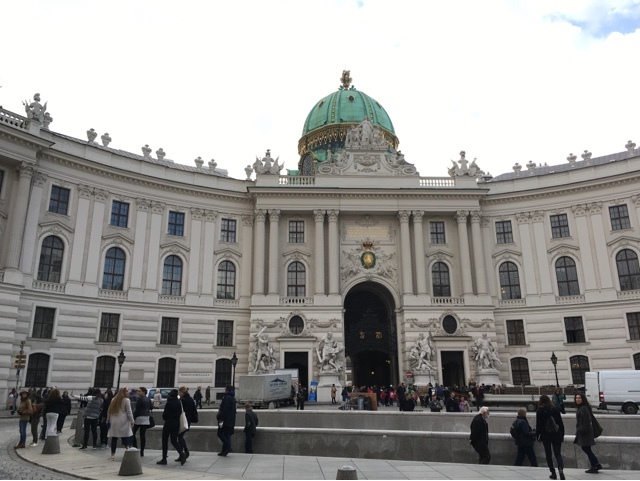 Whilst in the main square, a look inside St. Stephans cathedral is a must and a quick five minutes walk will take you to Hofburg imperial palace, the Spanish riding school and the Sisi museum. One little tip to look out for, is ar 3pm in St. Peter's cathedral there is a free organ recital. Lasting about half an hour it is the perfect time to rest your legs and take in the incredibly beautiful and ornate interior. Now for dinner you are spoilt for choice. A classic favourite of mine is the Italian chain Vapianos (which they need to get in Scotland). We were actually were running pretty short on time so popped into a small Chinese right across from Stephansdom. I wish I could remember what it was called because it was actually amazing and so cheap - the perfect choice for budget conscious students like ourselves. With such a rich and diverse artistic culture, there are many options for an evening's entertainment. 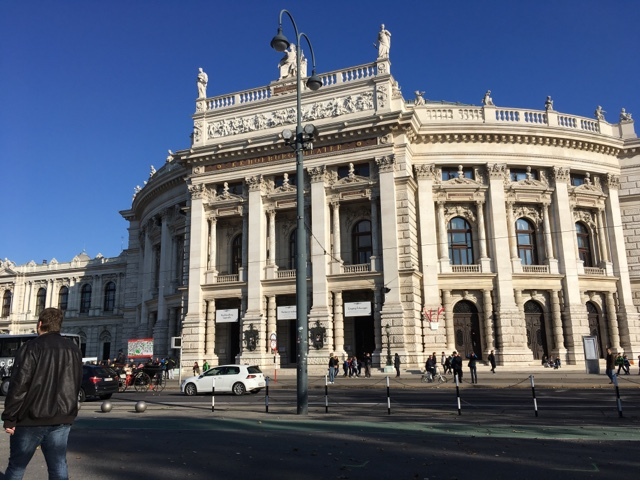 Previous visits to Vienna have included an Opera and a puppet show however this time we decided to go along to the Burgtheater and see if there were any cheap tickets left for the evenings performance. A friend had noted that the box office opened an hour before the performance began for a quick sale of standing tickets and any spare seats left in the gallery. This is obviously not recommended for those of you who don't speak any German or in fact the language that the performance is in, however in our case this weekend this really didn't matter. With tickets bought for a performance of Pension Schöller we eagerly took our seats only to find we barely understood a word due to the fast pace and strong accents of some of the actors. However, as a comedy we had a vague grasp of what was happening and ended up laughing along (albeit probably not at the right part for the right reasons). We stayed in an Airbnb which I was decidedly dubious about using due to hearing some horror stories from colleagues about last minute cancellations and slightly too enthusiastic hosts but ours was perfect! It made our trip feel slightly more authentic going back to a traditional Viennese apartment each night and worked out perfectly for our budget. So there you go! 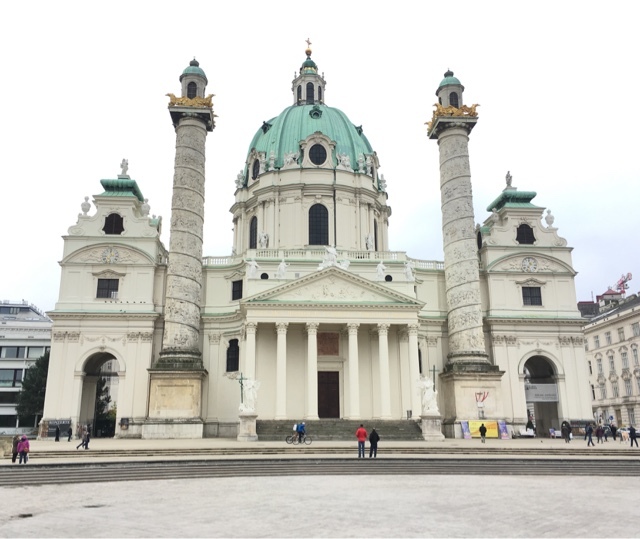 A little guide/run down of how to spend the perfect 24 hours in Vienna. As I have said already Vienna is simply the most beautiful city and I really hope I will be able to go back before the end of the year. If you have any travel tips for Vienna please leave them in the comments because I would love to know! 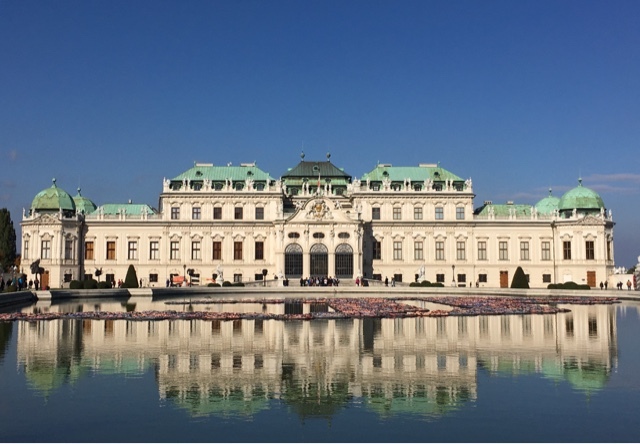 Vienna is right at the top of my travel wishlist at the moment, I've read some fabulous travel guides on the place lately - including this one! 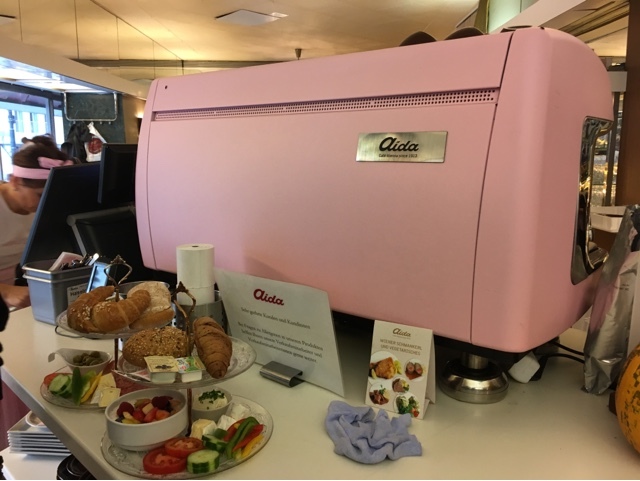 Aida looks like a fabulous place to sit, relax and enjoy breakfast (that pink coffee machine though! haha). 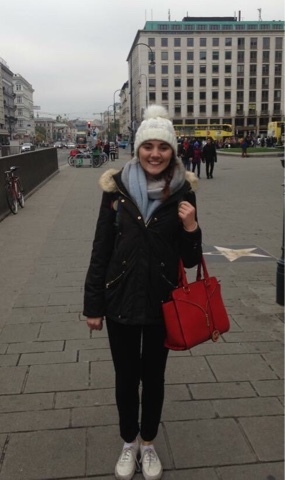 Awww this article, makes me want to go back to Vienna so bad!! Last time was over 10 years ago, and all I remember is that I LOVED IT! !